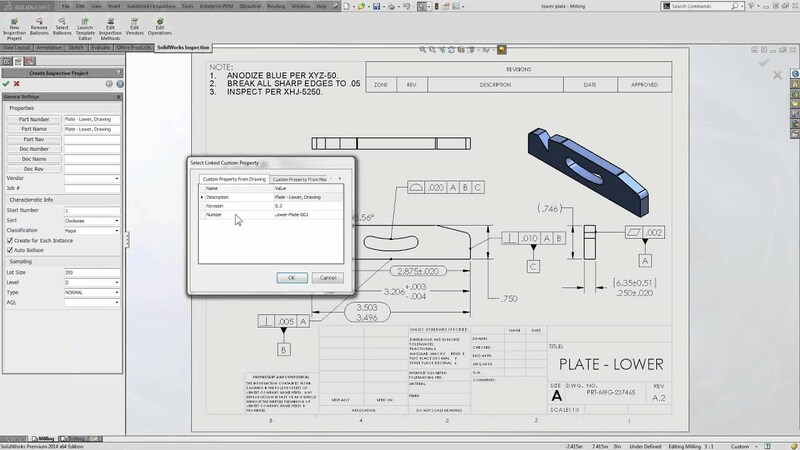 Streamline your quality inspection processes by using the advanced inspection report creation tools in SOLIDWORKS Inspection Professional. SOLIDWORKS Inspection Professional has most of the benefits from Standard plus additional tools that allow quality engineers to easily create industry standard inspection reports, and enables integration with electronic measurement devices to record inspection sample results. These groundbreaking features allow for fast, comprehensive inspection processes in your company.